Growing up and attending high school in Midland Park, I played sports year round for the town, school, and a variety of North Jersey club teams. Once my playing career was over, I developed a passion for training and fitness but really missed that intensity and competition that came along with playing sports. A colleague of mine f told me about CrossFit and some of their ideals. 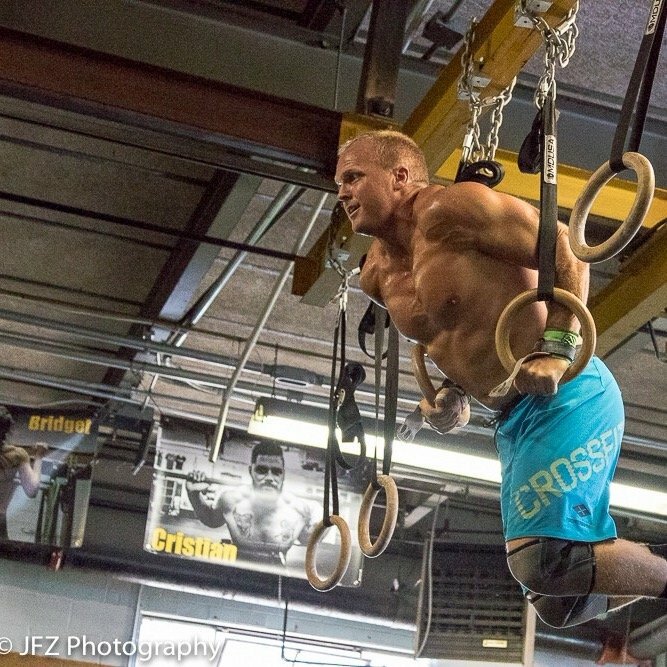 After a few free beginner classes at Crossfit Hoboken, I was hooked. The combination of variety and intensity was exactly what I needed to take my fitness to the next level. I developed a passion for this kind of training and I fully immersed myself in to every aspect of this program. From there, I applied for the internship program at CFH and became a coach 5 months later after earning my CrossFit Level I Certification in October 2012. CFH is the biggest Crossfit in New Jersey and is worldwide-known facility that has given me the foundation of what a successful box can do for people through fitness. Over the 2 years of working at Crossfit Hoboken, I’ve coached every kind of athlete under the sun. Former Division-I athletes and those that have not seen the inside of a gym in 10+ years have done the same workout right next to each other. Kids in high school have done workouts with men and women in their 60s. While the weights and difficulty of movements are scaled, I’ve developed and practiced programs, progressions, and strategies to ensure every individual athlete can improve their way of life through fitness, the CrossFit way. I’ve seen and personally experienced what this kind of training can do for quality of life, no matter who you are or what your background is. I want to share and help guide those that are willing to take a leap of faith and bring their fitness to an entirely new level.